According to note 1455417, execute the report SA38 – RS_FIND_JOBS_WITHOUT_VARIANT in your system. This would remove all the inconsistent job entries & inform the BW team to run the process chains again. 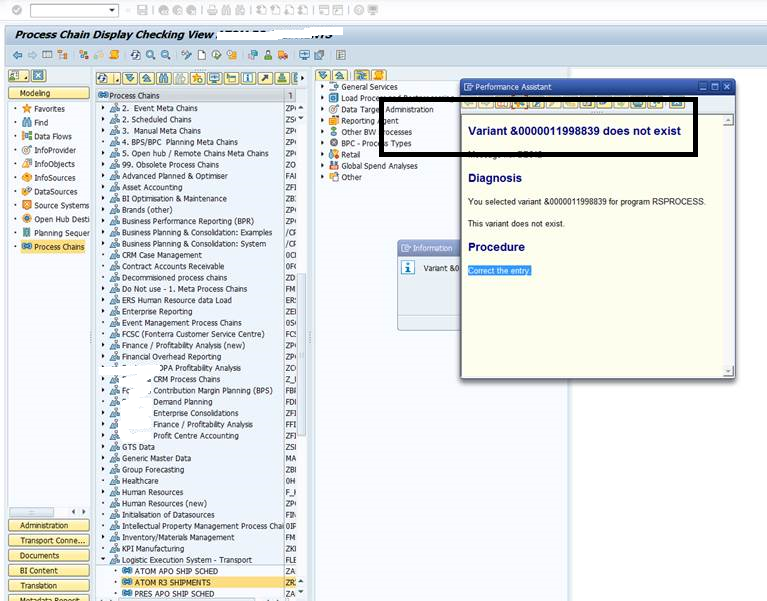 However in some cases if the above report is not able to clean the variant then you need to create Z report given in the SAP note “Z_FIND_JOBS_WITHOUT_VARIANT” & run on the system to clean up the inconsistent entries. Let me know if this solution helps you.